Social media has brought about the evolution of the social customer, and few areas of business are as dramatically impacted as customer service. Service problems used to be something between the service rep, the customer and perhaps the customer’s peer group. Today, that peer group may include millions of people connected by blogs, social networks and online communities. The more egregious the customer service failure is perceived, the more likely it is that failure will be amplified and reach more eyes and ears. When customer complaints go unanswered and grievances go viral, a company brand and reputation is clearly at risk. Thus, a response mechanism is needed to deal with this new reality. But the social customer also presents an opportunity for service providers to take on a more proactive role by becoming involved in customer conversations; not only to address problems, but to answer questions, suggest better ways of using a product or service and – perhaps most importantly – to learn from customers about new ways to use a product, preferred service processes or even aspects of the product or service the business never contemplated. And, by acting as a peer during this process, service can help build customer affinity which leads to continued engagement, customer evangelism and ultimately establishes the business as a thought leader in the communities which is serves. Moving service organizations from a reactive to a proactive posture will require a cultural shift and a genuine reassessment of the value of service to retaining customers. It will also require an accompanying shift in budgetary priorities. But the customer conversations are already taking place, and people are saying things about businesses and their service failures – things that are so damning in some cases they should trigger dramatic and immediate changes to companies’ service philosophies. The three pillars of Customer Relationship Management (CRM) have been sales, marketing and service. Sales tended to be the aspect that helped drive demand for CRM software adoption within organizations, and marketing came along for the ride because of its role in lead generation. However, marketing’s responsibility for nurturing existing customers too often took a back seat to its customer acquisition role. Often relegated to a dark corner was customer service. Perhaps the fact that service existed in one form or another long before the advent of CRM and thus had its own processes and technologies, service often existed detached from CRM systems – a critical mistake, because a poor service experience can undo all the progress achieved in the sales process. 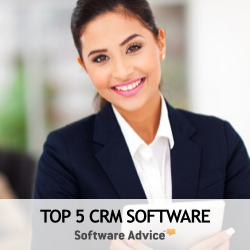 The economic recession turned the traditional thinking around CRM on its ear. With fewer customers to acquire, the need to retain customers became the priority it has long deserved. But retaining customers means being able to help them with their service needs – and to do so in a way that makes the experience valuable for the customer. That means dealing with customers in the ways they want to be dealt with – over the phone, through e-mail, online and via chat. Even as these multiple channels were emerging, the customer was changing in ways that were less visible to the companies they do business with. The rise of customer peer communities meant that people who had difficulty getting good responses from companies could communicate with other users to get solutions to their questions and problems. Similarly, consumers no longer had to vent their frustrations to powerless customer service representatives and could instead go online to communities, blogs, Twitter and any other means they could find to voice their displeasure. "The social customer’s demands are personal," said Paul Greenberg, author of CRM at the Speed of Light. "They are trying to figure out what the best way is to interact with the company that they either care about or for the moment, have an increased need to interact with, like a service complaint that compels them to have more than a utilitarian, convenient relationship to the company. At the same time, the social customer gets to have discussions and make comments to peers and others outside the purview and control of the companies that are affected by the interactions." While the rise of the social customer might at first seem terrifying, the reality is that it creates new opportunities to harness what is a new form of customer participation in the service process. By understanding where customers are talking about service and participating in those conversations, companies can not only address service problems better and faster but it can learn better fixes and new uses for its products from its customers. Cost Savings: Reduced call volumes, reduced email volume, increased agent productivity, increased first contact resolution, reduced search engine optimization costs. Revenue Enhancements: Increased customer lifetime value, increased product ideation, increased lead conversion rates.